There are so many wonders to be found in Spring, its hard to keep up with what's going on around the garden. Flowers explode from every corner of the yard and perennials push up from their winter slumber, readying themselves for their moment to shine. However, one shrub manages to jumps out from the pack with its vivid display of foliage color that rivals any spring flowering display. 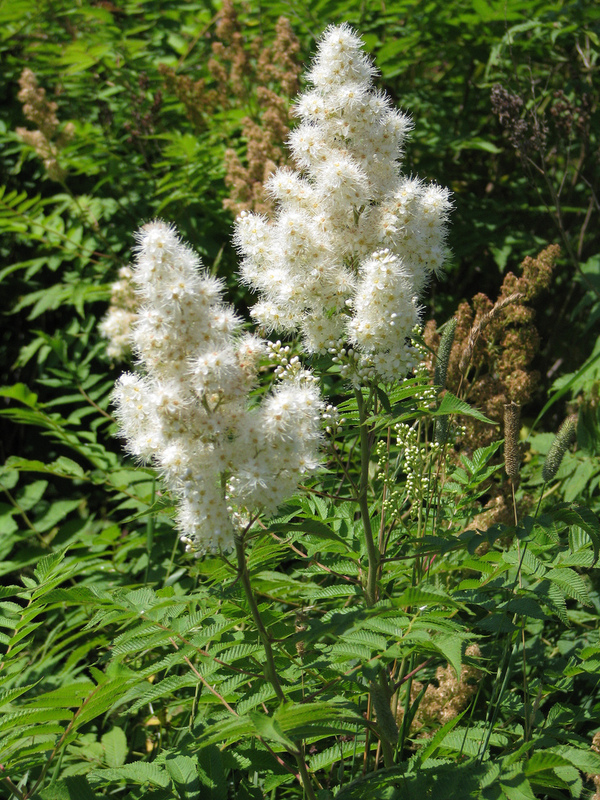 This shrub is Sorbaria sorbifolia 'Sem', or otherwise known as the Ural False Spirea. Originating from the harsh and inhospitable Ural Mountains of Russia into Kazakhstan and other regions further west through Siberia and into Northern Asia, 'Sem's' parents come from tough stock. The straight species is too large and unruly to be considered garden worthy until the work of a clever Dutchman brought us 'Sem' from two unnamed Sorbaria selections. It's appearance is much shorter and greatly more compact with new growth showing bronzed highlights that is very common when compared to its parents. Its cold tolerances, coming from such a harsh region allows us to grow it in locations as low as Zone 2. In fact, America seem balmy in comparison. The best way to describe a Sorbaria 'Sem' is to say that it looks like a mix of Spirea, Astilbe and Mountain Ash, but wrapped up in a nice little package. The delicate fern like foliage unfurls in spring, displaying a brilliant show of bright pinkish-red hues that persists on the shrub for weeks after. As the seasons progress into summer, the color gradually changes to chartreuse-green with brighter tips that still show hints of red. 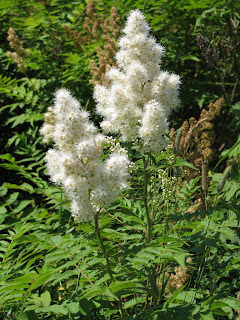 Creamy white flowers erupted like the plumes of an Astilbe during midsummer, set off by the now darker green foliage. Though this shrub is a marked improvement over its parents it still has a wondering habit as it sends up suckering growth from its roots. If you intend to let it spread and colonize, then this trait wouldn't be a problem but if you intend to shoehorn it into an already crowded boarder then be aware. However, just like training a puppy, correcting it when it begins to misbehave and spread will lead to a desirable specimen. Don't be afraid to hack it back in early spring to control its height or attack the suckers with a shovel. Chopping around the shrub will manage its spread with no ill side effects. I love this shrub!! It always stops me in my tracks when I see it at the garden center and I wish wish wish I had more room so I could grow it. I love the coloration of the new spring growth. Beautiful! It certainly aims to please but does need space to reach out. I'm sure you could find a spot to plant one, who needs lawn! Thanks for reading. What an unusual and striking plant! And apparently rarely used around here. I love the foliage, although the big white flowers look like unruly feather dusters. But the shape and lacy texture of the plant is really nice and would be a great combo with other plants. You should be able to find it at any good garden center where you are. We get most of ours from a grower in New Jersey who grows them under the 'Garden Splendor' label. I'm sure if you get on their website and contact them, they could tell you where to find it locally. Happy hunting. Every spring I am drawn to this in the nurseries but always end up passing on it because of the reported suckering habit. Is it any better or worse than Tiger Eye Sumac? I've been passing on that for the same reason but think I may be ready to take the plunge. Being a plant with patent protection, I have to say that you can't legally multiply your plant. But, if a sucker should accidentally sprout into a nearby container, then its gods will, and who are we to argue with a supreme being. That's my defense and I'm sticking to it! Live life dangerously. Thanks for reading. I bought "Sem" from a nursery this spring because the foliage was so beautiful and looked forward to the flowers, but they never appeared. Could it require another year in place to flower? This is one of my favorites. I recently removed a small lawn and am using these as my anchor plant. I have grown them in a prior garden, but two of the three are browning in the lower center and don't have the same bright green color. Any ideas? I was thinking to much water, I have more a a clay soil. Thanks for your help. Do you cut the dead flower heads off ,as they look rather dull ? I dead-head mine; as you say the flowers look a bit dull once faded. Learn how to get Trust flow blog comments and push your website, blog or article up in the SERPs. 4 different ways how to get backlinks listed in this article.